*Dimensions are Approximates. Exact dimensions can be ordered on request. In that our custom fireplace units (Shown in the left column or first on a mobile device) are made here in Salt Lake City you can adjust dimensions and configurations. Please call a sales associate for custom pricing and estimated shipping times. In many cases, our builder can adjust certain dimensions without a change to the retail price! Call 801-484-1007 with questions. Barnwood and Log Furniture is 100% natural, and thus will have color variations, natural checks (cracks), knots, and imperfections. While every builder on this page uses authentic wood in there collections often they will use plywood or MDF wood to give extra reinforcement and to help prevent warping on the backs of pieces and underneath panels. If you want to request a piece that is made only entirely of solid wood then we will gladly provide a quote on request. Due to the custom nature of our products it is the buyer's responsibility to ensure that any changes from standard are indicated on the invoice at the time of ordering. 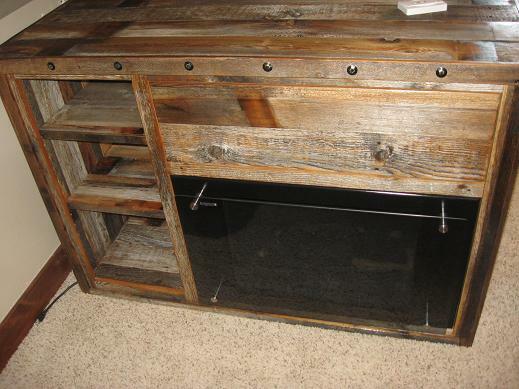 All sales of custom furniture on this page are final. Review our shipping information page if you are purchasing out of state. See our showroom in SLC for many of these pieces on display! Upgrade to a #W100-21 Upgraded Infrared Fireplace w/Remote (+$100) w/Temperature Control and 5 Heat Settings, 5 Flame Level Settings, 3 Light Levels, and a Sleep Timer! 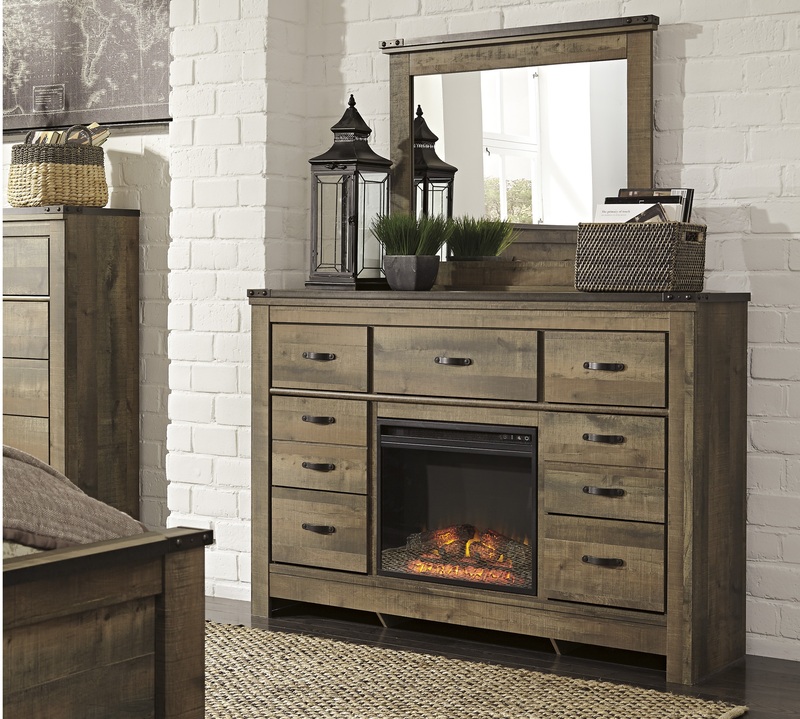 Enjoy the cozy feel of a cracklin’ fireplace without the hassle, maintenance or cleanup. Available as a "pop in" addition on select TV stands and entertainment centers, this fireplace insert includes an electric flame feature that operates with or without heat, two-level temperature setting and remote control—along with an overheating control device for added safety. Item Features: W100-01 has LED technology and remote control with LED display. 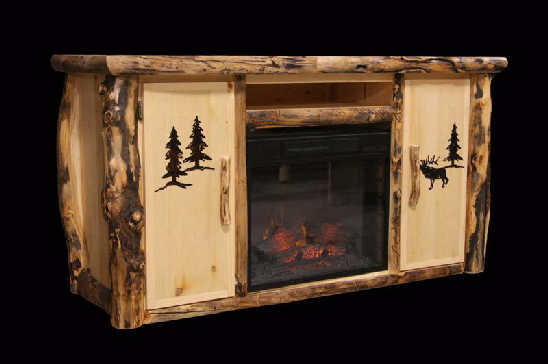 Realistic wood burning flame effect combined with life-like logs. Two level temperature setting. 20 watt high quality fan. Has thermostat heating and overheating control device. Has down light. Flame operates with or without heat.